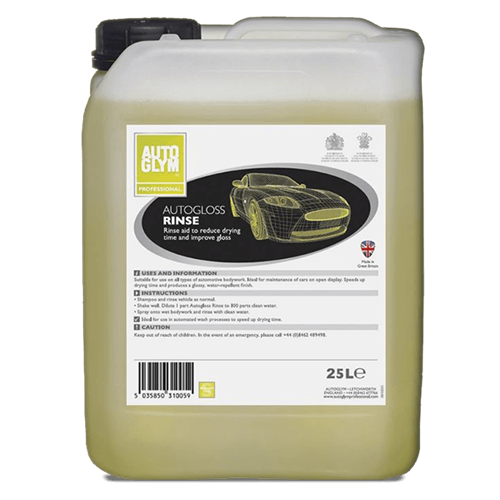 Autoglym Autogloss Rinse is a water borne complex chemical which plates onto bodywork providing a glossy water-repellent film with protective characteristics. 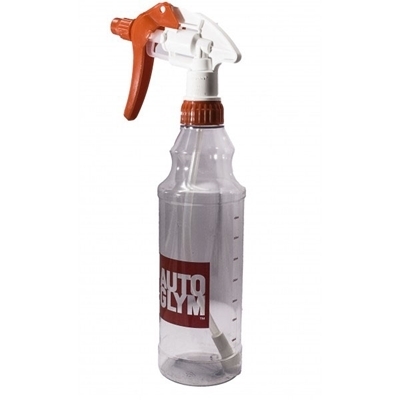 Ideal for maintenance of cars on outside display. Dilution: 1:100 parts water. Simply spray or sponge diluted mixture onto a newly washed car whilst still wet and then rinse with plain water to improve gloss, water beading and paintwork protection. Dilutes 1:100 parts water, making it extremely economical.